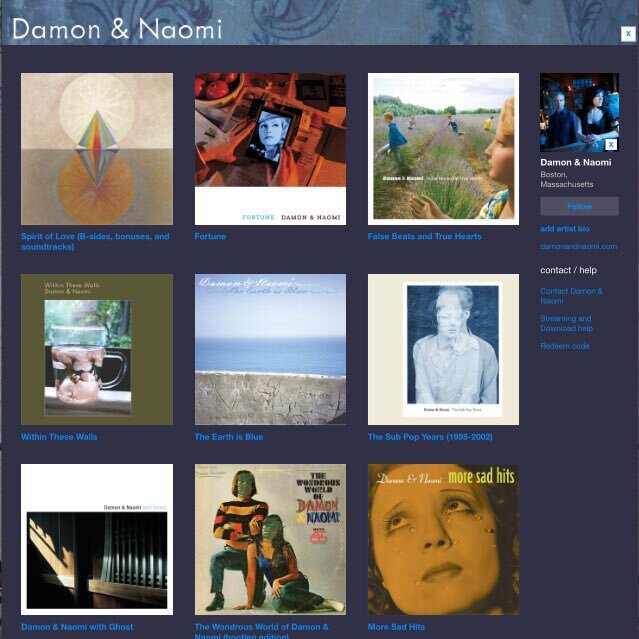 On the back of last weeks pay-what-you-want release of an album of rarities, Damon & Naomi have now made the rest of their bandcamp catalogue available for whatever you feel it's worth. After the release of Spirit of Love Damon tweeted "So this album we posted for free now has not only the most downloads, but the most PAID downloads for us" so it comes as little surprise to find that this morning all of the Damon & Naomi releases on bandcamp have had their prices set to "name your price". Lots of gems here including their fantastic debut album More Sad Hits, the Sub Pop Years compilation and the masterpiece that is Damon & Naomi with Ghost (and lots more just as good!) - all worth a few pennies if not more!